Following on from the Campbell Brothers’s concept, the contemporary Bonzer 5 is designed to be surfed more progressive than its traditional sibling. I've added an extra two long, low profile side fins to give the board more drive. The end result is drive and release of a thruster with the flow of a single fin. Three words: versatility, speed and flow!! The Bonzer 5 rocker is low to mid. The bottom contours take the form of rolled entry, slight single concave that enters into a deep, double concave that extends to tunnel channels through the fins. I prefer a diamond tail, but rounded pin, and swallow tails will also work. 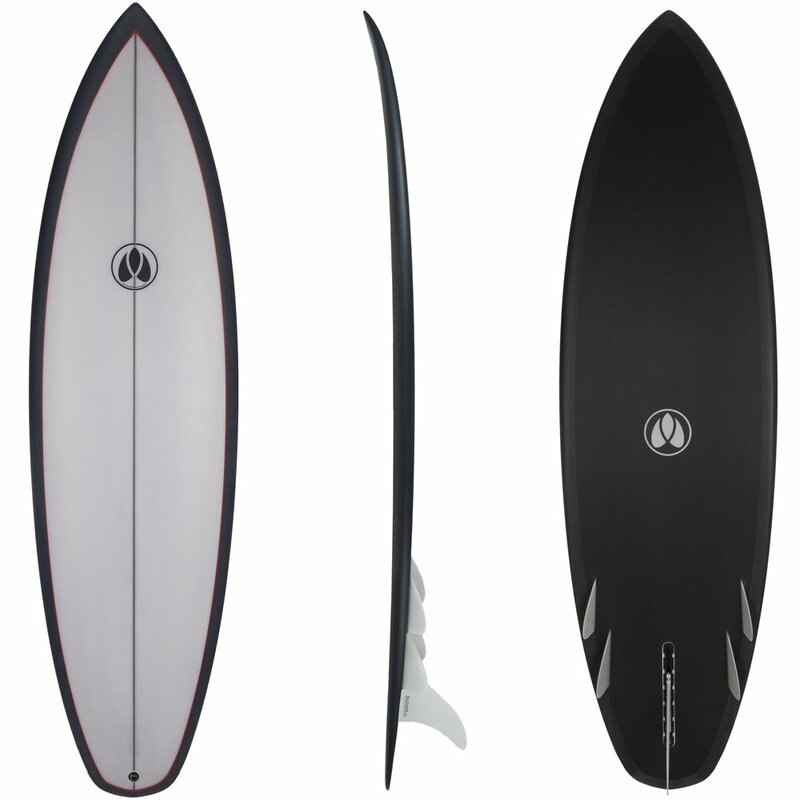 Fin Setup: Single fin box with 4 set side fins or single fin box with 4 FCS side fin plugs.